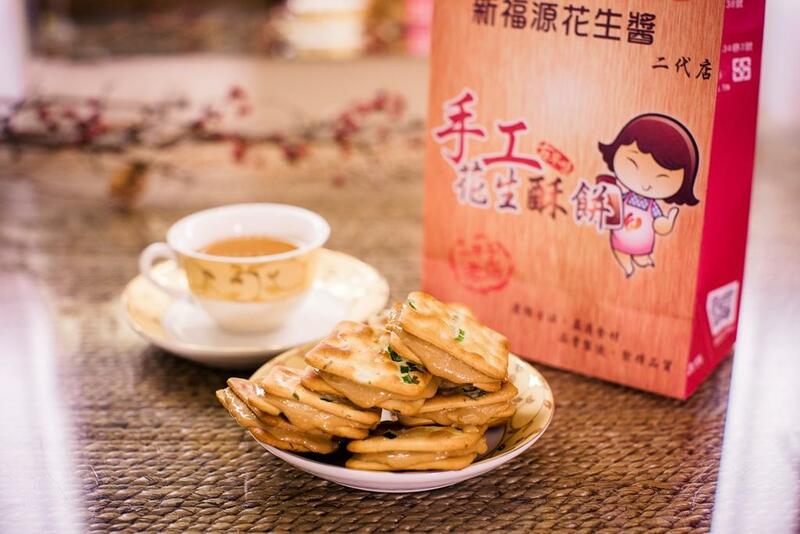 Two slices of scallion biscuits with a layer of moderately sweet peanut butter between them; the salty-sweet flavor makes the biscuits highly popular among all age groups. Copyright 2014 © 新福源花生醬(二代店). All rights reserved.